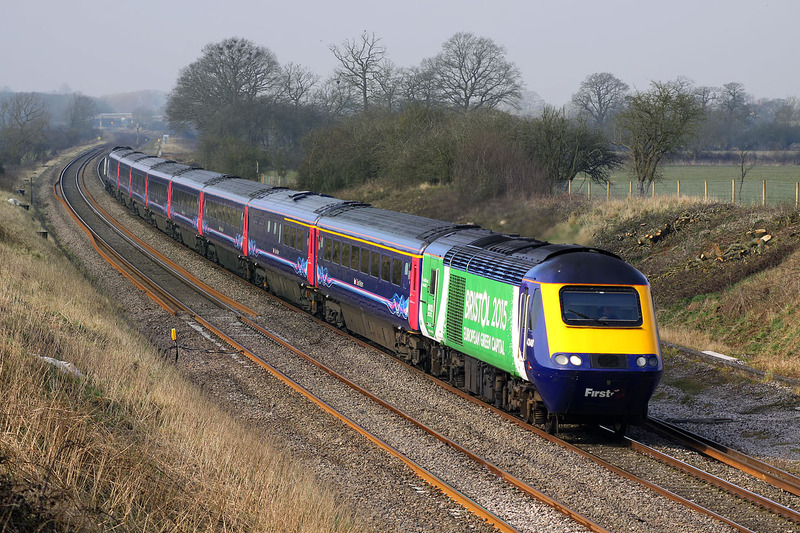 'Bristol 2015 European Green Capital' liveried 43148 leads the 1A10 09:00 Bristol Temple Meads to Paddington GWR service past Compton Beauchamp on 17 March 2016. Unfortunately the Met Office had been a little optimistic with their prediction for a completely sunny day. There was a still a lot or early morning cloud drifting about, and therefore this is only partly lit.